Porsche Mission E Concept car is all set to beat Tesla Model S in terms of maximum speed. This is expected to be achieved through the use of separate motors for the rear and front wheels and also by increasing the reduction ratio differences between the two motors. Porsche Mission E, like any of the modern all-electric cars including Tesla Model S, will not feature any transmission system. While experts are still working on creating a transmission system conducive to EVs, currently all car makers opine that the bulkiness, mechanical losses and complexities associated with such a system make it unsuitable for use in electric cars. Tesla did test the use of multi-speed transmission systems and gave up the idea. Moreover, most auto experts agree that one gear is sufficient for the traditional electric vehicle. 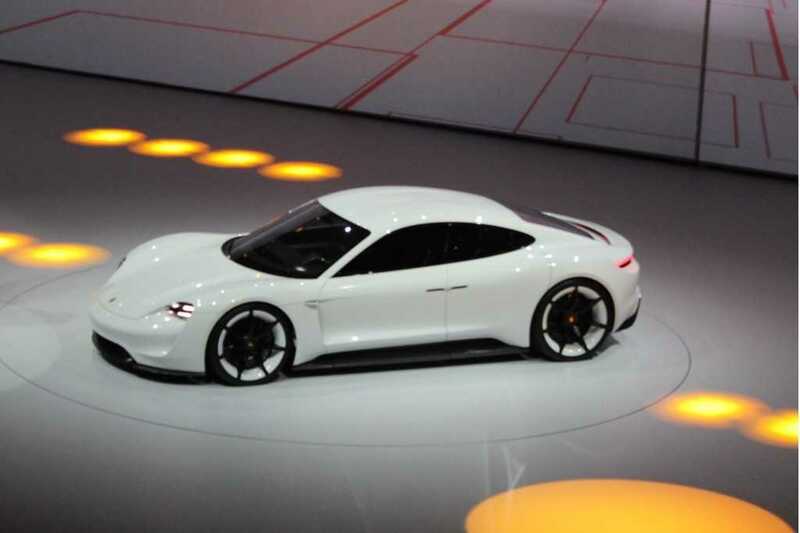 Porsche Mission E concept car was showcased at the Frankfurt Auto Show. It featured 800 V charging system, extremely low packaging and capable of a 310 mile driving range. The Mission E comes with two separate motors for the rear and front wheels with individual torque vectoring on each wheel. This can get the EV from 0-62 mph in 3.5 seconds and 124 mph in under-12 seconds. Although the above figures are not as good as that of the Tesla Model S P90D, Porsche claimed that it has engineered Mission E to reach the maximum speed not achieved by any other all-electric model, even better than Tesla Model S P90D highest speed of 155 mph. This claim raised questions on the achievability of such a feat with just one gear as reaching higher speeds requires more controllable and robust launch characteristics with the limited maximum 16,000 rpm of an EV. Porsche then said that they plan to achieve higher accelerations by increasing the reduction ratio differences between the two motors. Since this option is already extant in the Tesla Model S P90D and the Tesla S P85D and also in the Model X, experts were doubtful if the maximum speeds can be significantly higher than what is already available. However, experts also opine that a more aggressive increase in the reduction ratio differences is the primary reason for the Mission E to cover the infamous Nürburgring Nordschleife circuit in under-8 minutes and hence they are hopeful of achieving significantly higher maximum speeds in the Mission E.